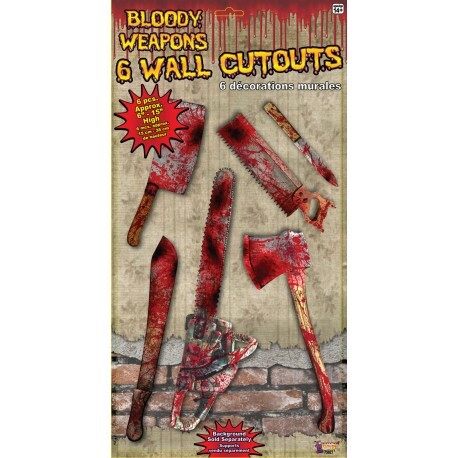 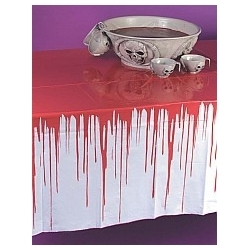 Bloody Weapons Wall Decoration halloween scene setter. 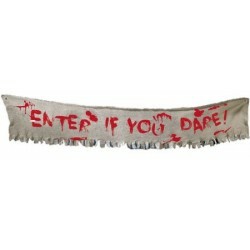 Included are 6 wall decorations made of durable plastic for indoor or outdoor use. Easily hang our Bloody Weapons Wall Decoration with tape or blu-tac and you're ready to impress the night walkers!